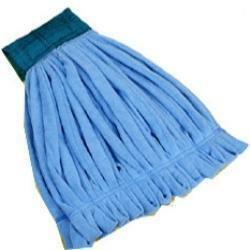 we are leading manufacture of wet mop cotton & wet mop micro fiber and all type of wet mop refill. Backed with a team of skilled professionals, we are offering an extensive range of Wet Mop to our esteemed clients. Our offered clips are highly effective to wipe the floor. These clips are widely acknowledged by our clients for their salient features such as reliability, less maintenance and long life. The offered clips is not only manufactured using premium quality material and advanced technology but also tested on various quality parameters so as to provide defect-free range at our clients' end. 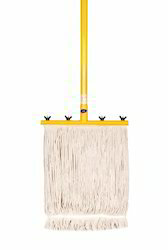 This kind of T-Mop is widely used in all over the country. This is one of the user friendly T-Mop. It is widely demanded by the clients for its availability in different sizes. Moreover, these products are widely used for mopping the floors. Besides, offered products are made by using quality material which is sourced from leading vendors of the industry. We are leading manufacturers and suppliers of a comprehensive range of Wet Mop Refill that have been designed as per the predefined standards and availed to the customers at the most comprehensive and market leading price range. 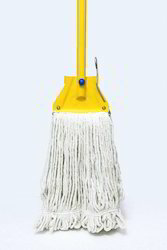 We produce and supply Dry mops to our clients at extensive range. The raw material are procured by us from authentic vendors of the market, who make use of quality tested ingredients in the formulation process. 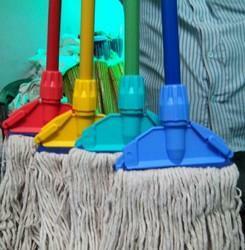 Being a client-centric organization, we are engaged in offering a premium quality Clip N Fit Mop to our clients. Our skilled professionals use a supreme quality raw cotton fabrics and sophisticated technology in production process of Clip N Fit Mop. In ahead of their final dispatch, our offered refill is thoroughly checked by our quality inspectors on varied quality parameters. Available in various specifications, the offered refill is used in various commercial and non-commercial establishments for cleaning purposes. By keeping track with the market development, we are engaged in offering a qualitative Wet Mop Cotton Refill that is used for general cleaning applications. Our offered mop refill cut end cotton is designed as per the requirements of our clients using qualitative cotton fabrics. Keeping in mind the variegated demands of our prestigious clients, we are providing this mop refill cut end cotton in plethora of specifications at nominal prices. We are manufacture & supplier of all type of Wet Mop Clip Holders and dust mop frame (Holders). Size as for requirment. 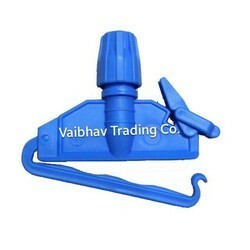 Owing to our expertise, we are manufacturing, trading and supplying of a wide assortment of Wire Clip Mop. Our offered set is manufactured by making use of premium quality raw material with the help of sophisticated techniques at our well established production unit. It is widely used in offices, industries, schools and many more places for cleaning purposes. Apart from this, we provide this set to our valued client at market leading price. 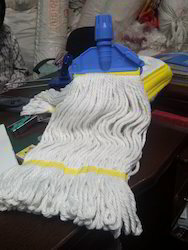 We are leading manufacture of Microfiber Wet Mop Set. with kentucky mop holder (Clip) and 60" Amluminum Handle and as for requirment. 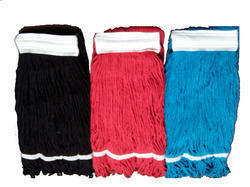 Clients can avail from us superior quality Cotton Clip Mops. The offered set is manufactured by utilizing optimum quality fabrics and modern machine that assure its set perfection in all aspects. Available in a various specifications that perfectly suits individual needs, our offered Cotton Clip Mops is highly demanded in the market. Moreover, we deliver the offered set to our renowned clients within the promised time frame. 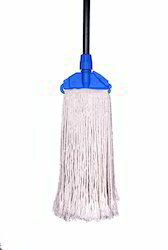 We are noted organization actively engaged in offering wide range of Microfiber String Mop Refill. The offered refill is manufactured with the aid of best grade raw material and latest machines in observance to set industry norms. We offer this refill in diverse designs and sizes for our clients to choose from. Clients can avail this refill from us at the industry leading prices.